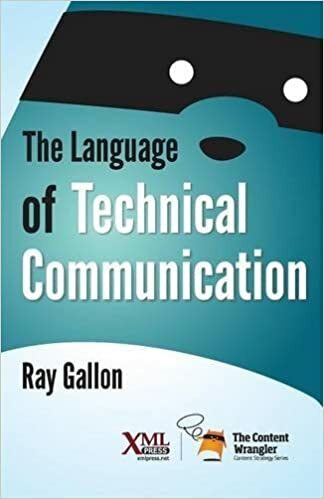 What’s Emotion Got to do with Technical Communication? I’ve just returned from the 12th Consciousness Reframed conference, in Lisbon. This conference, started by my friend Roy Ascott, is based on the idea that we can raise our level of consciousness using a combination of scientific research and mental and spiritual discipline. It’s based on the concept that artists are social researchers and socializers of new technologies, and that an artistic regard towards the planet and human existence is as useful as – and is a parallel activity to – scientific investigation. This ideas was also expressed in the 1950’s by Werner Heisenberg, one of the godfathers of quantum physics, and whose uncertainty principle is most easily understood from the point of view of Eastern philosophies such as certain branches of Buddhism, rather than from our traditional Western methods. I was a presenter at this conference, but also an avid attendee, listening to people from a wide variety of disciplines and experiences speak about evolving ideas of transformation and multiple identities in the age of virtual, networked communication. The point of departure of this conference is to reject any and all dogmas, and be open to the possibilities of any serious study, be they based in science or the knowledge systems of aboriginal peoples worldwide. Thus, the gestalt of the conference is to avoid being boxed in, either by a purely materialistic idea of science, or by a totally spiritual approach that excludes more “rational” or traditional scientific methods. I was struck by the similarity of approach between the best speakers at this conference, and the incredible balancing act of humanism, emotion, and science that I’ve already related in recommending Jill Bolte Taylor’s TED Talk. I have since read Dr. Taylor’s book, My Stroke of Insight, where she likens some of the states she experienced during her stroke and long recovery as akin to the “Nirvana” of Hindu and Buddhist philosophies. She goes to great lengths to explain how her brain function, from a physiological point of view, was functioning to cause these sensations. She also swings back from that “concrete” explanation to the subjective account of how she experienced this – emotionally, sensorially, mentally and physically. There is an incredible lesson in these types of experiences for us technical communicators. Jill Bolte Taylor wrote a book that was a New York Times best seller. It was about her own brain. It is full of technical and scientific information that, at times, can be extremely complex. Yet her book was a best seller. She didn’t get to have a best seller by going into great detail to explain the intricacies of brain function. She got to have it because she told a powerful, human story. We’ve all heard about “story telling” as a technique. But how many of us understand it at this visceral level? How many of us are able to communicate complex, technical and scientific information to our audiences with the clarity and liveliness that Jill Bolte Taylor does either in her TED talk or her book? How many of us even think about doing it? Don’t most of us tend to think emotions have no place in technical communication? But what if that emotional component, the human side of things, enabled our audiences to do what they want and need to do faster, easier, and with more enjoyment? Shouldn’t we be glad to provide that? Shouldn’t we be thinking about the lessons learned from the communications of Jill Bolte Taylor and the speakers at Consciousness Reframed, and understanding how we can tell human stories to our human users and give them a rewarding experience? How would you start to include human stories in your technical communication? What methods would you use? What kinds of stories would you tell, and how would you tell them? What delivery methods would you use? This entry was posted in Rants and tagged Communication, Culture, Education, Humanities, Lessons learned, Transformation. Bookmark the permalink. 3 Responses to What’s Emotion Got to do with Technical Communication? For those of you who don’t know about Heisenberg’s uncertainty principle, look it up, and then juxtapose it with the concept of scope creep. That will get you thinking. In developing a training solution for sales reps to learn how to use a new Point of Sale system at a telecomm company, I got the sales reps involved in the actual development of the training materials. Because the software development and integration with the back-end system was delayed (typical), we were able to take the time to enrich the training materials so that they were scenario-based as defined by the actual users and even enriched with many “what if” scenarios – real world problems and solutions… stories. What happened here? I got the end users to tell their own stories through the training materials and the end result was extremely effective, not to mention award-winning by STC standards. How do I include human stories in my technical communications solutions? I get the the stories from the source. It always comes down to how well you know your audience. But any opportunity that you can get to have the audience tell their own stories, is an opportunity not to be missed. A good story not only appeals to emotion, but also to logic and credibility – pathos, logos, and ethos. And now we’re talking about the art of persuasion as covered in Aristotle’s Treatise on Rhetoric which also very much comes into play in tech comm. But that’s for another time. Thanks for getting my wheels turning!